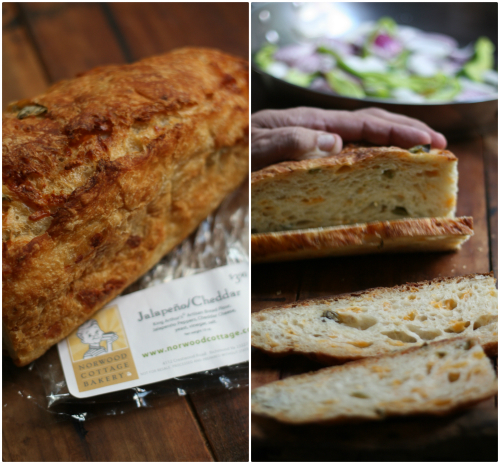 Now, Mark's bread already packs a nice little punch with rings of fresh jalapeno incorporated, which is a perfect match with the cheddar — we are just going to take the spice and the cheese one step further in this creation. 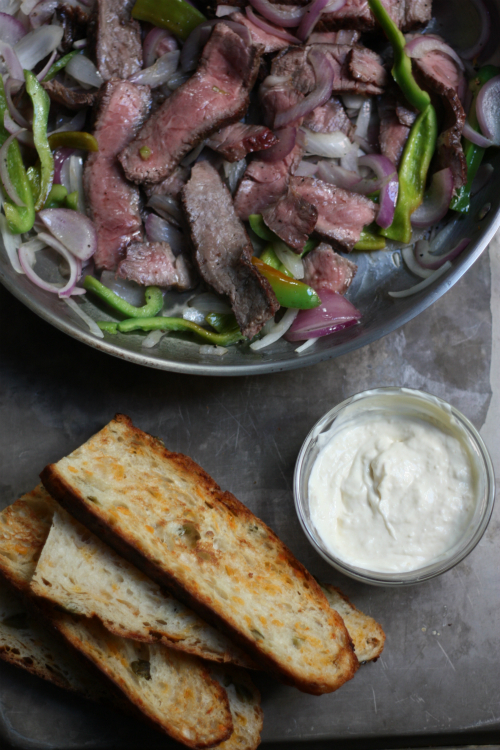 Cook onions and peppers in olive oil until just about soft then add thinly sliced rib-eye, tossing to coat and heat the meat. 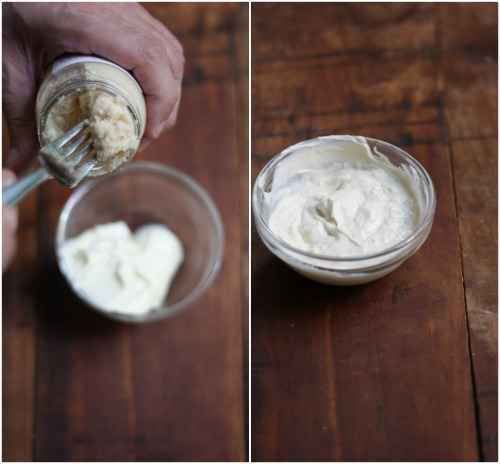 Spread horseradish mayonnaise on the non toasted side of one piece of bread. 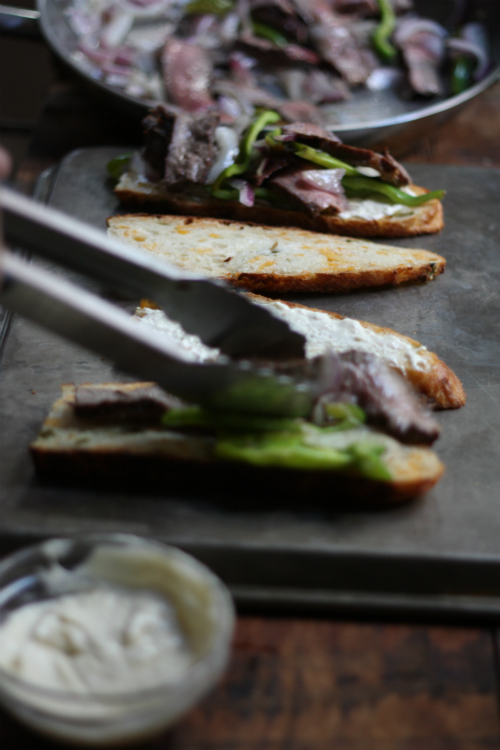 On the other piece of bread, stack generously with steak, peppers, and onions. 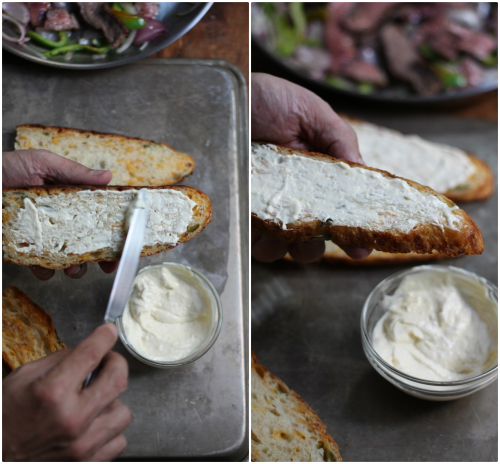 Cover this with the shredded white cheddar and broil until cheese is melted. Remove from oven slice and enjoy. 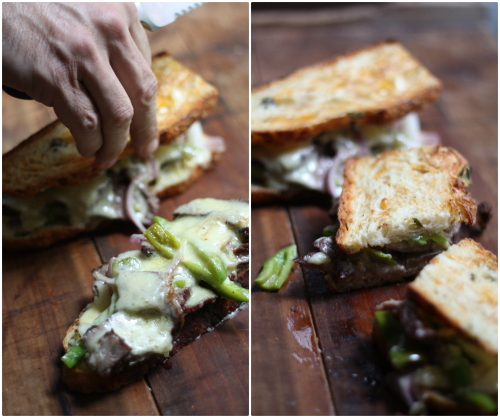 This is one of those sandwiches that literally just melts in your mouth. 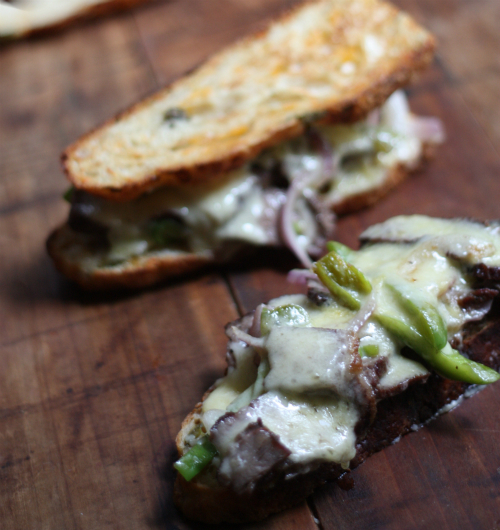 The combination of white and yellow cheddar, double whammy of spice from jalapenos and horseradish, the crunch and softness of the bread, matched with tender ribeye, onions, and peppers will have you coming back for more. There are many great sandwiches in Richmond, but I have to say The Belmont between Norwood is quite the tasty creation. Looks great! Thanks for such a detailed posting! You are welcome and I might add it was quite tasty! Mention Belmont Butchery and I’m sold for whatever it is that you've got on the menu. There's nothing that makes a meal except for good old red meat.